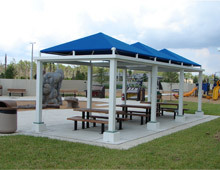 Spencer Fabrications' team of expert fabricators, and craftsmen have been providing customers with quality custom metal fabricated products for over 18 years. 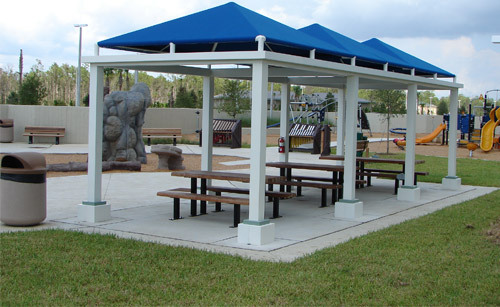 Working from our 20,000 square foot facility in central Florida, we specialize in steel, stainless steel, and aluminum fabrication, serving a diverse range of industries and customers throughout the southeast; manufacturing items as diverse as transit shelters, to electrical enclosures, and solar lighting kits. We work with a wide range of materials, including aluminum, steel, and stainless steel, and many raw material forms, including channel, angle, rod, bar, tube, plate and sheet. We also offer a full paint shop, assembly and installation services, and a team committed to getting your work done right the first time, and every time. To learn more about what we can do for you, see the table below or contact Spencer Fabrications, Inc. directly.